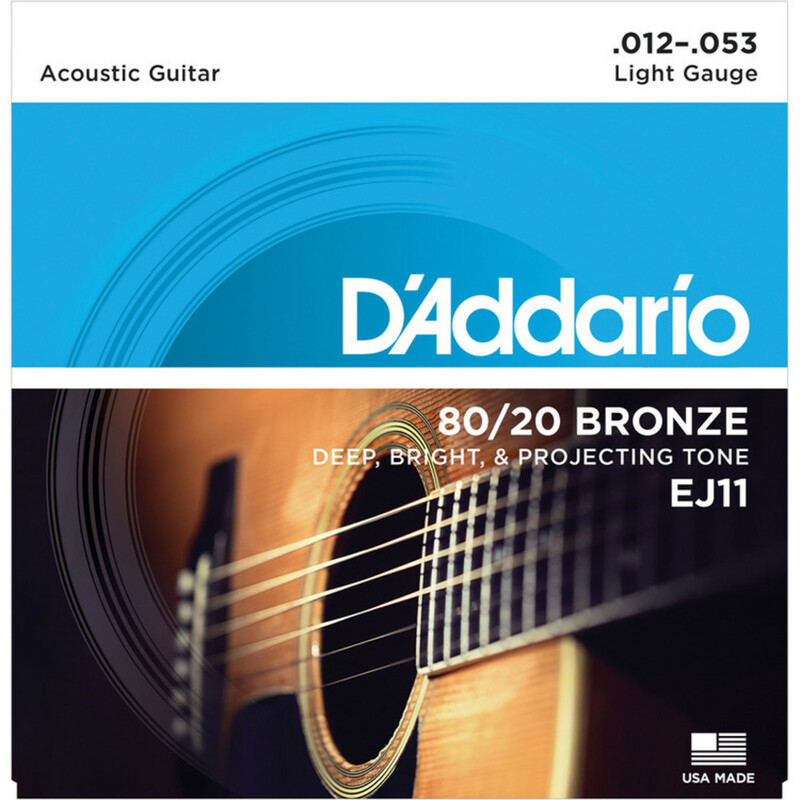 A good all rounder, and D'Addario's best selling 80/20 Bronze gauge, EJ11s offer the ideal balance of volume, projection and comfortable playability. Made of a string alloy whose composition dates back to the 1930s. 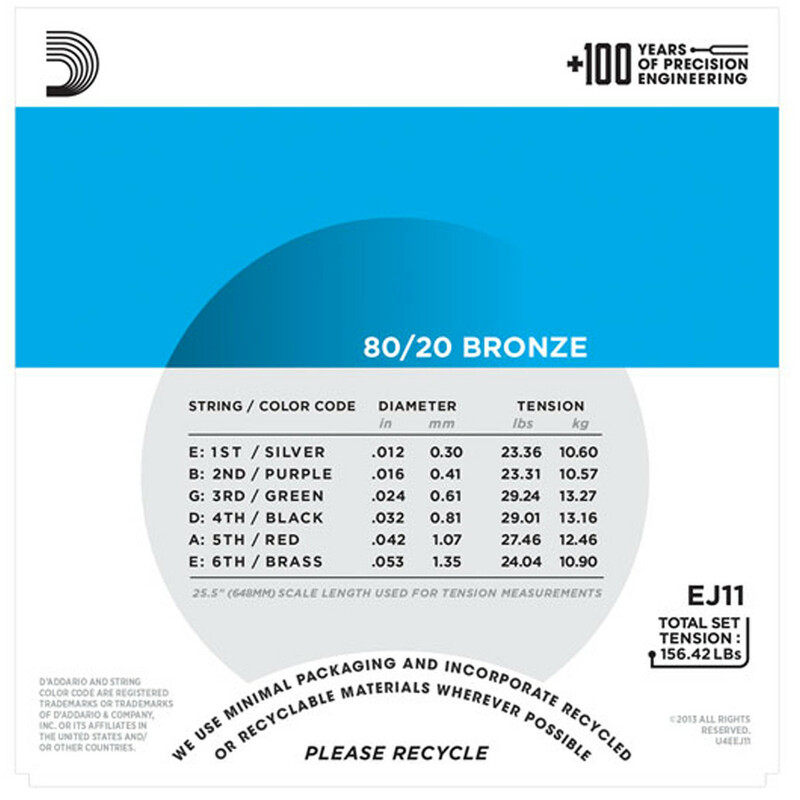 For the vintage sound, 80/20 Bronze strings are popular for recording due to their crisp, deep and projecting tone and appeal to many traditionalists for their historical significance. 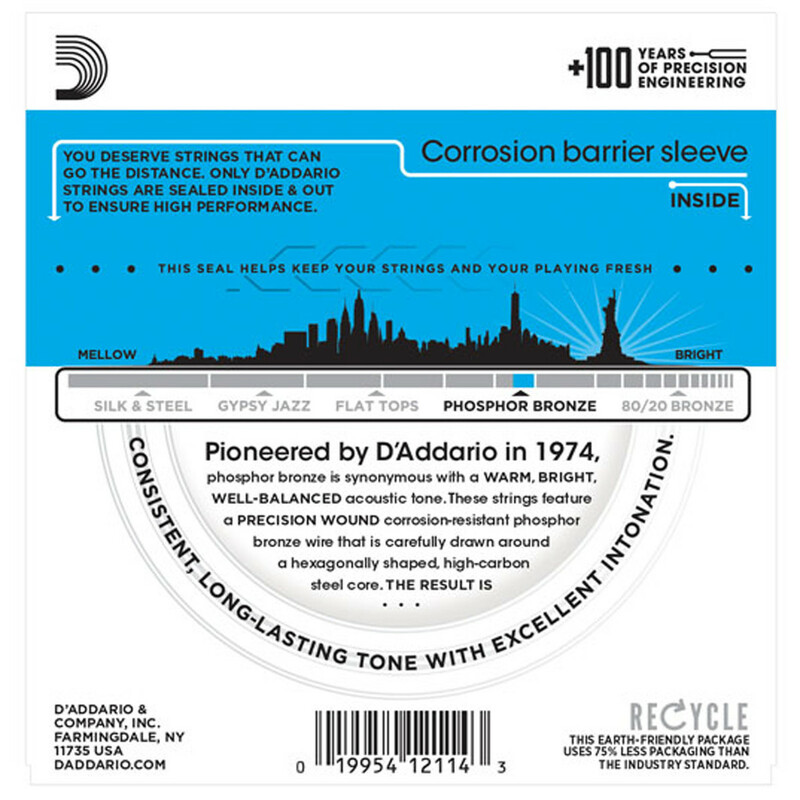 The original acoustic string alloy was selected by John D'Addario Sr. and John D'Angelico in the 1930s. All D'Addario acoustic strings are wound on a hexagonally shaped, high carbon steel core, resulting in long lasting, bright sounding tone with excellent intonation.